Thanks for subscribing to Axios Autonomous Vehicles. Please consider telling your colleagues to sign up. And send your feedback to me at alison@axios.com or just reply to this email. Human drivers are faulted for most accidents involving AVs, but closer inspection reveals the responsibility for such incidents is more complex and shared, National Auto Care's Steve Verney writes for Axios. Many accidents appear to have occurred when an AV took an action that was technically legal and safe, but which a human driver did not expect. What's needed: Public policy should ensure that autonomous development includes ways for humans to better identify and interact with AVs. While a lidar unit on top of an AV is usually a dead giveaway, a Tesla on autopilot is not. If AVs can communicate their intentions and next moves, humans will better respond. 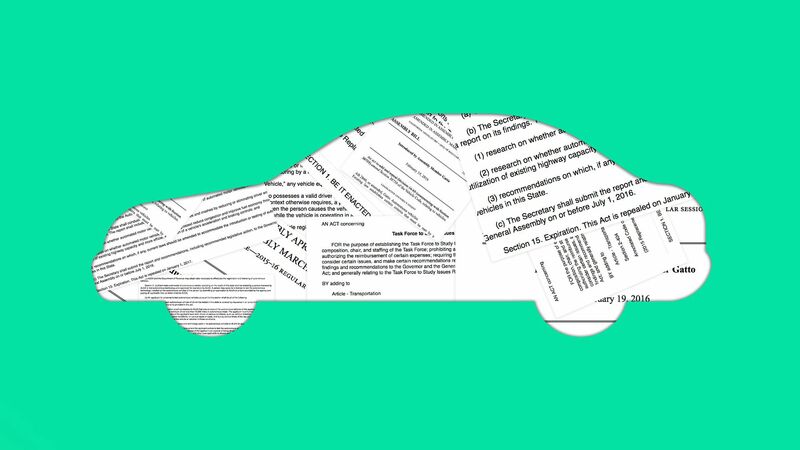 A recent study from the American Automobile Association found that 73% of Americans said they would be too afraid to ride in a driverless vehicle and 63% would feel unsafe sharing the road with one, May Mobility's Alisyn Malek writes for Axios. Why it matters: Mistrust of robotic decision-making, and doubts about safety, are changing the focus of the AV industry. Increasingly, the critical question for companies is shifting from who can build the technology first to who can win people’s trust. These opportunities range from single-day demonstrations to pilot program deployments — partnerships between AV developers and communities that can help to educate the public, as the cities of Las Vegas and Columbus are already doing. PerceptIn, a startup working on vision systems for robots and self-driving cars, recently announced it will offer a DIY custom autonomous vehicle, per Forbes' Jennifer Kite-Powell. How it works: The vehicle uses computer vision, radar, sonar, and GPS to sense its surroundings and plan a driving path. Customers can buy the vehicle parts to assemble by themselves or PerceptIn will design and build it for them. The purpose: The pod isn't currently meant for the open road, but for controlled environments like university campuses where it can transport people and objects at low speeds (right now, the max is 20 miles per hour). "We've created a Lego-like approach and designed the vehicle so that when people are putting it together, they can reconfigure different components to use only what suits their needs." Yes, but: The vehicle's planning and control algorithm can get stuck when both lanes on the road are blocked, requiring a human to take control of the vehicle remotely. What's next: Liu tells Axios they plan to apply the modular approach to other types of vehicles — including an autonomous vending vehicle to be announced soon.